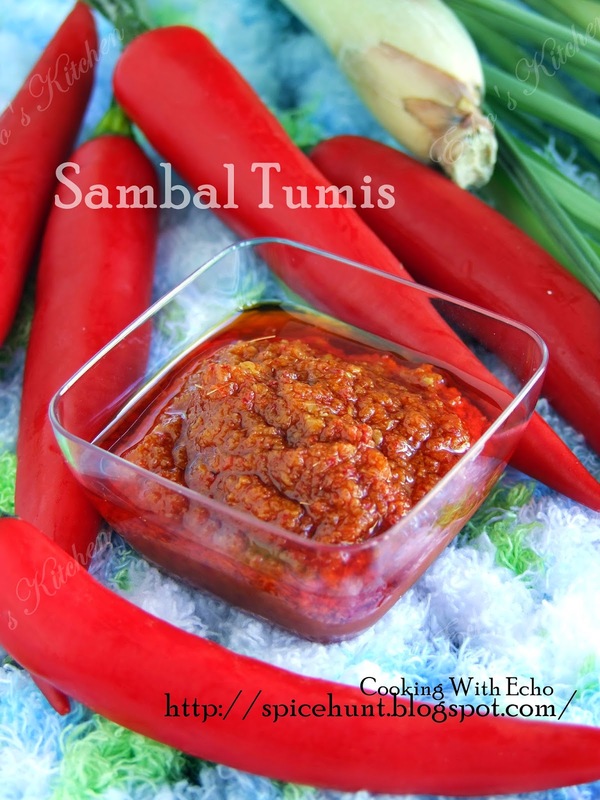 Sambal Tumis is a highly versatile sauce, back home in Malaysia, we literally use Sambal Paste in everything we could think of. 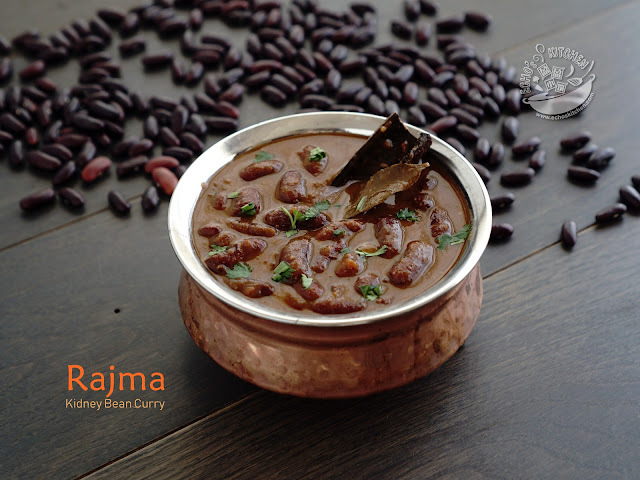 If not in cooking, we use it as condiment to go with food! 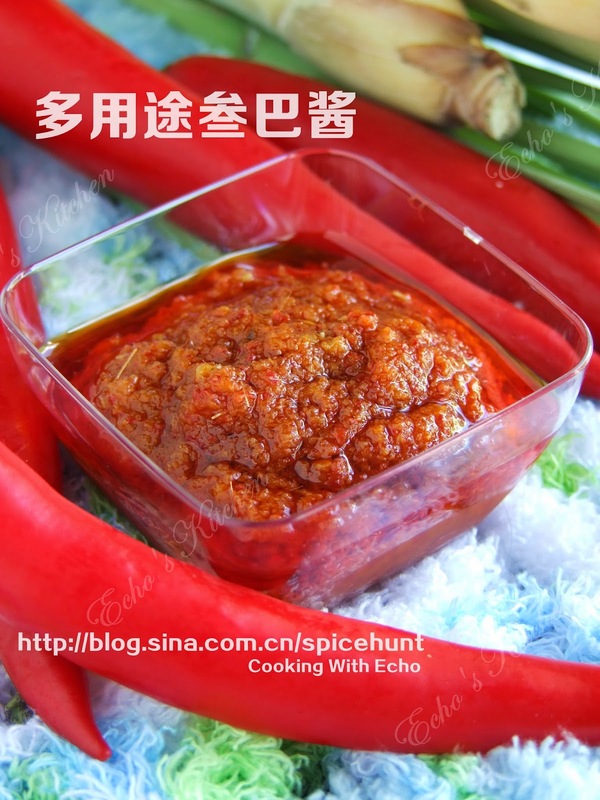 I normally keep a box of home made chilli paste in the fridge all the time, so that whenever I crave for Malaysian food, I could have it just almost right away! 1. Ground together all the ingredients (without seasoning) with 1/4 cup of water and 3 tbsp of oil. 2. In a cooking pan, pour in the grounded paste, cook until the water reduce, add 1/3 cups of oil, stir well, and cook at low heat, till the oil saparated at the edge. 3. 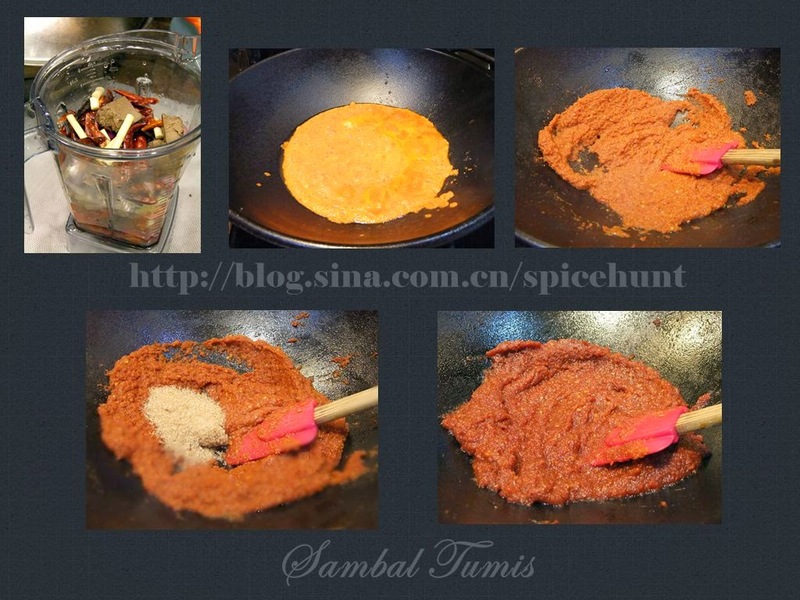 Add Tamarind juice/lime juice and salt, stir well, add sugar, and stir again, the colour should now turn into darker in red. Let it cold down completely before jarred and store. Note: This paste could be stored in the fridge for a month.